Forty years ago, I got involved in welcoming , helping and befriending international students at Cardiff University. Through this 'ministry', in 1977, I was invited to represent Wales, along with a dozen other teachers representing others parts of the UK, at a summer school in Pulawy, Poland, organised by UNESCO and the British Council. Two years later, I was invited to be a leader at the same summer school. I still have ties with some of those students, some of whom are language teachers themselves. One of them brings 4 to 12 students from Koszalin, Polnad, to Cardiff each summer to enrol in a language school. Adding thousands of pounds to the Cardiff economy. During 1986-1988, through the LECT (League for the exchange of Commonwealth Teachers) I accepted a 'job and life exchange' with a primary school teacher in Penrith, NSW, Australia. When I returned, I realised I had far more empathy with the international students, as, having lived in Poland and Australia, I now had experience of living abroad and being a fish out of water. "Taken out of my comfort zone", we'd say, today. In around 2009, I became a primary school activities adviser on a committee setting up the blossoming CARDIFF STORY MUSEUM. I, in fact coined the name, knowing it would easily translate to "Y STORI CAERDYDD", and at its official opening, was presented to the Duchess of Cornwall. When I took early retirement from teaching, in 2012, I did not want to be a couch potato pensioner (though, I won't receive a state pension for a while, yet). I wanted to be active, contribute to society and benefit the community. 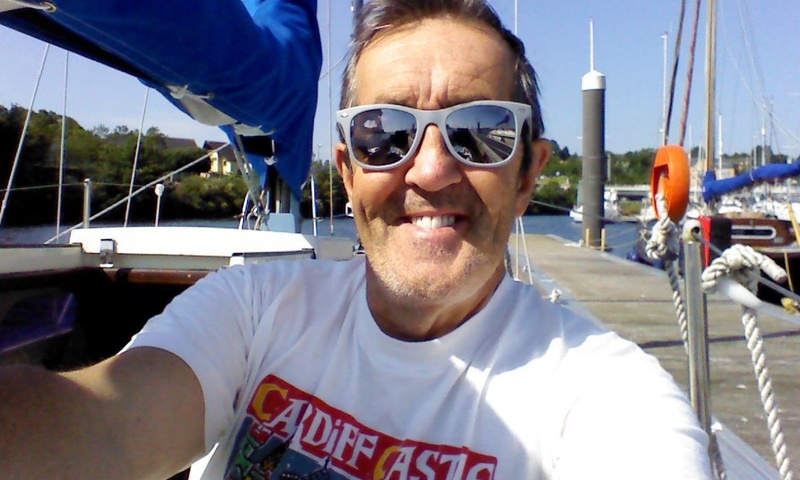 The staff at my school, encourage me to go in for walking tours, as I had successfully led scores of classes of pupils on themed walks all over Cardiff and in many other cities. "It is something you love doing and you are good at it, Tone; always capturing the children's and teacher's' interest". It is a play on words; a combination of "diplomat" and "Cardiff". A "CARDIFF DIPLOMAT" or "DIFFLOMAT"
I have been chuffed to have been interviewed on the 'Jason Mohammed Show' on Radio Wales; had a mention from Oliver Hide's 'Good Morning Wales', and been referred to in an article by Chris Amodeo of 'I Loves the Diff' in the 'South Wales Echo', as well as by 'Fly 2 Wales' on many occasions.